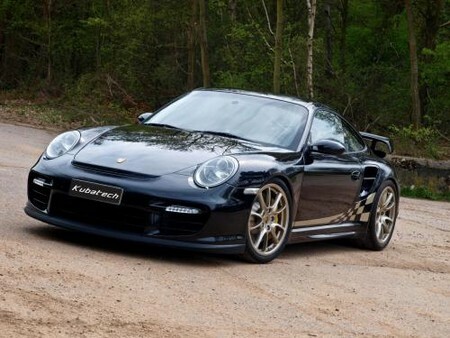 mcchip and Kubatech have come up with an upgrade package for the Porsche 911 GT2. Not that it needs any upgrade, but who wouldn’t like more power at their disposal! So the 3.6 liter engine of the car gets modified turbochargers, high performance air coolers, 200-cell sport catalysts from Cargraphic, new manifolds and ECU remap. The power accordingly gets a hike from 530 PS and 680 Nm of torque to 657 PS and 835 Nm of torque. The tuner has not released any performance figures regarding the acceleration and top speed. The kit costs 23,000 euro but unless you unleash that power no body will notice that because the looks is pretty much standard.